The American College of Cardiology has recognized Union General Hospital for its demonstrated expertise and commitment in treating patients with chest pain. Union General Hospital was awarded Chest Pain Center Accreditation for the second time in October 2018 based on a rigorous onsite evaluation of the staff’s ability to evaluate, diagnose and treat patients who may be experiencing a heart attack. We are so proud of the staff and physicians at Union General Hospital for the dedication and commitment that has been shown in acquiring our Chest Pain Accreditation again. The most exciting part of this accomplishment is the tremendous difference this will make for our patients and our community in providing the best possible care to our cardiac patients. Want to learn more? Check out our online resources below. Learn the early symptoms of heart attacks. 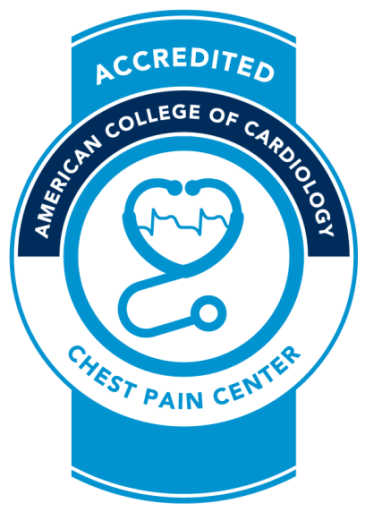 Received Chest Pain Center Accreditation for the second time!